Memories of the Hunyadi Family in the National Folklore. 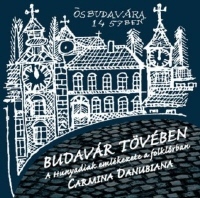 In addition to native ones, on our record commemorating the Hunyadi family Bulgarian, Macedonian, Serbian, Croatian and Slovenian folk songs and old literary pieces can be listened to, in Hungarian translation. In these songs historical figures are not only portrayed on the basis of their fighting against the Turks, but also as characters in love stories. Besides the works centering tragic events (such as the defeat at Varna or the hiding of voivode Jankula), there occur some amusing ones (the quarrel between King Matthias and the riddle solving maid, or between Him and Petar Dojcin), too. Mátyás anyja (that is Mother of Matthias) by János Arany, and ballad from Szék (Middle Transylvania), as well as the Slovenian version of the adaptation of the original Orpheus-story to the person of Matthias count to be two delicacies that are both taken to the folklore. When treating a text that lacks its original tune, we were searching after tunes that find their roots in the same region attending to the fact that it is essential to sound instruments that characterize the given area the most.